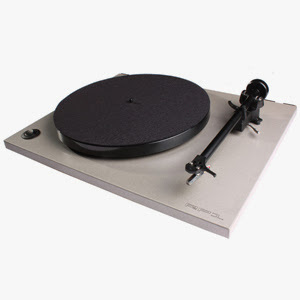 ah, jack white, he seems to be full of ideas about keeping our beloved vinyl records alive. THIS is just sweet! The Third Man Rolling Record Store, Jack White's latest wild invention, is set to make it's debut at SXSW this year. Third Man quotes a study saying that "97% of all high school aged kids have never been to a stand alone record store," and White plans on changing that by bringing one to them. The truck plans to travel the nation, playing vinyl from a built in PA while people shop, but first it's going to be parked around Austin for the music portion of SXSW, March 16th - 20th. A release on Third Man Records states, "We're going to do it in style with musical performances, guest DJs, exclusive records and merchandise (including 4 different tri-colors), giveaways and plenty of surprises." * Full menu of Third Man merchandise including 45s and LPs, obviously. * All new (and exclusive to the truck) Rolling Record Store™ collectibles and souvenirs including t-shirts, tote bags, drinking accessories. * Two turntables and a microphone. * Built-in high quality PA and amplification system with 8 channel mixer and electric outlets for DJ's and bands to plug straight into for spontaneous concerts. Green Day To Release Version Vinyl Of "Awesome As F*ck"
Green Day will be releasing a vinyl version of upcoming album "Awesome As F*ck". The vinyl is scheduled to be released on Billie Joe Armstrong's own label, Adeline Records. The 17 track vinyl will be on pink 180 gram double-disc gatefold vinyl, and comes bundled with an exclusive t-shirt. The CD/digital version is due out March 15, 2011, while the Adeline Records vinyl release is expected on April 26, 2011. "Speed of Darkness," the new album from celebrated Celtic punk ensemble Flogging Molly, is set for a May 31st release on the group's newly founded Borstal Beat Records. 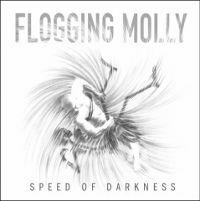 "Speed of Darkness" is Flogging Molly's fifth, and arguably most important album. In the words of lead singer and songwriter Dave King, "It wasn't the album we set out to write. It became the album we had to write." The Bangles Partner With Playnetwork For Exclusive Vinyl EP Release! REDMOND, Wash. & DULUTH, Minn (Top40 Charts/ Interscope Records) Influential hit makers, The Bangles, today announce the release of their vinyl EP, "Sweetheart of the Sun," set for exclusive distribution throughout select maurices specialty retail stores starting the week of March 21. 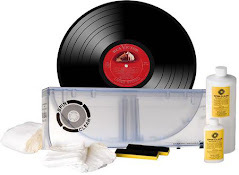 In a deal brokered by PlayNetwork, this limited-edition vinyl release will debut as part of the retailer's "Small Town Sound" campaign and nationwide band search. "It's been great to be a part of maurice's 'Small Town Sound' and have a chance to discover some of the exciting new female musicians living and playing in towns all across the country. We had fun recording acoustic versions of a couple of our earlier songs and then doing an exclusive 'maurices' mix' of a brand new tune to release on vinyl at the stores. This is The Bangles SXSW debut and we can't wait - we're especially looking forward to playing with our winners Audri & Aaron," said The Bangles. vinyl in the windy city, i love it! In a world where advancing technology is the indication of progress in the arts - books and magazines are being replaced by e-readers and iPads and telephones that aren't "smart" have become historical artifacts - where does nostalgia fit in? Apparently, it's found a nice home in the music industry, where record sales-- of actual vinyl LPs and EPs-- have been experiencing a renaissance. About 2.8 million vinyl LPs were sold last year, according Nielsen Soundscan statistics, the most since the company started collecting the point-of-purchase data in 1991. That same figure marked a 14 percent increase over 2009. "One of the main factors of the resurgence is the availability of records," said Eric Levin, owner of Criminal Records in Atlanta. "During the 90s and most of the aughts, the majority of stuff wasn't available in the format, so now that we're feeding the machine, we're seeing great sales increases." On a busy Friday night on Denton's Courthouse-on-the-Square, just two weeks before the kickoff of the four-day 35 Conferette, Mark Burke was holed up in his yet-to-open independent record shop, Mad World Records. this from the vinyl loving state of north carolina! Shock rocker Alice Cooper chatted with USA Today about his upcoming induction into the Rock and Roll Hall of Fame, which happens March 14 in New York City. Cooper reports the four surviving Alice Cooper members — Cooper, Neal Smith (drums), Michael Bruce (rhythm guitar) and Dennis Dunaway (bass) — will perform at the induction ceremony, as well as at the Revolver Golden Gods Awards on April 20 in Los Angeles. Guitarist Steve Hunter will play in place of the late Glen Buxton. 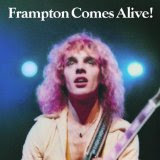 Peter Frampton's landmark album Frampton Comes Alive! is celebrating the 35th anniversary this year and the singer/guitarist is celebrating by touring the album in full. 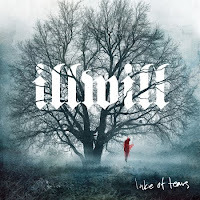 Swedish metallers LAKE Of TEARS will release their new album, "Illwill", on April 29 via AFM Records. Bruce Channel's "Hey Baby" sat at the top of the Pop chart in America in 1962. In 1964, Paul Simon and Art Garfunkel recorded "The Sounds Of Silence" as an acoustic duo. It wasn't until record company producers added electric guitar, bass and drums, without the knowledge of Paul and Art, that the song would become a hit in late 1965. In 1973, Pink Floyd's epic "Dark Side Of The Moon" was released in America, where it would spent over 740 weeks on the chart. 1987 - 30 year-old Andy Gibb, younger brother of Bee Gees Robin, Maurice and Barry, died from a viral infection in his heart. Andy hadn't had a chart hit since 1981, but did have a stint as host of the Solid Gold TV show. Shortly before his death and just after he declared bankruptcy, Andy had signed a record deal and was working on a new album for Island Records that was never completed. 1997 - R&B singer LaVern Baker, who placed 7 songs in the US Top 40 in the mid-1950s and early 1960s, including "Tweedlee Dee" and "I Cried A Tear", died of heart failure at the age of 67. 2005 - 53-year-old Danny Joe Brown, the original lead singer of Molly Hatchet, died from renal failure due to complications from diabetes. Brown was the front man for the band's self-titled album in 1978, which went Platinum. In 1979, the next album, "Flirtin' With Disaster" sold over 2 million copies. and in 2010, Pink Floyd won a court battle with EMI that prevents the record company from selling single downloads and ringtones on the Internet from the group's albums. Pink Floyd's back catalogue is second in sales to only the Beatles.